Formerly famous for its raging Thursday night poker games, the Tagajo board of education has stopped hiring JETs. However, it's still a great area to explore if you want try different food. 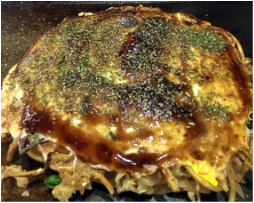 There are many restaurants that run along route 45 in Tagajo between Shiogama and Sendai. Sushi, tonkatsu, ramen, teppanyaki, okonomiyaki, and McDonald's, to name a few. 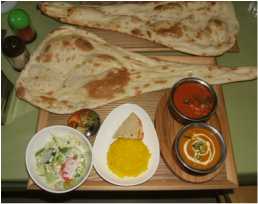 There is also Ganesh Indian Restaurant just outside of Tagajo Station with AMAZING mouton curry! For dessert, check out Kazunoli Mulata (カズノリムラタ)! Bordering Tagajo and Sendai is Nakanosakae Station. There is even more food in the area including kappa zushi, all you can eat yakiniku, and Coco Curry just outside of the station. If you walk straight from the station, after about 10 minutes you will get to Mitsui Outlet Park. This is one of 2 outlets in Sendai. There is also a food court inside and a ferris wheel if you want to get a good view of the city. Close to Mitsui Outlet Park, this area is also home to the brand new Umino Mori Aquarium. You can walk from Nakanosakae Station, but there is also a free shuttle bus from the station that takes you directly to the aquarium. Check the internet for the bus schedule before you go. This is the biggest aquarium in Tohoku area, and there are many highlights. The best part is a big tank blessed with beautiful and sparkling Tohoku Ocean water. It is a truly refreshing experience. Also, they have petting hours called friendly times where you can enjoy interacting with adorable penguins and South America sea lions. Apart from that, you can enjoy a dolphin and sea lion show, a behind the scenes tour, and interacting with starfish and sea cucumber, etc.